In addition to the usual new features delivered by Android Nougat, this update also removes the AT&T address book and throws new Samsung services such as Samsung Pass and Samsung Cloud into the mix. 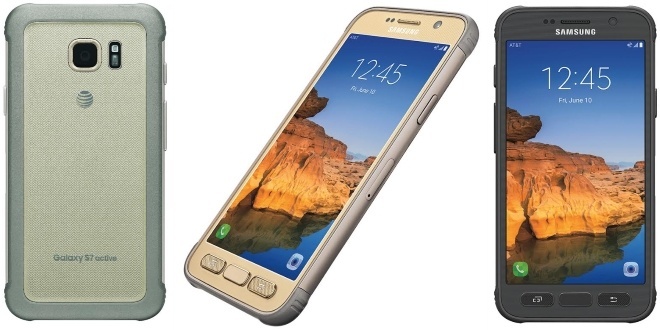 Since Samsung Galaxy S7 owners on all major carriers finally receive Nougat these days, it is no surprise to see that the rugged handset that is part of this lineup also gets updated. The new firmware for AT&T's Galaxy S7 Active has begun its rollout earlier today and, next to the Nougat features, it also comes with some changes from AT&T and Samsung. In addition to the above, AT&T has also added the security patches dated February 1. The update rolls out as we speak and it may take at least a few days for all compatible handsets to receive it.